Michali holds Level 2 certificate in Animal PsychAromatica. 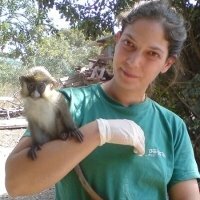 Michali has a passion for monkeys and has had great successes with using aromatics for monkey rehab and health (she worked at Israel Primate Refuge). She also specialises in cat behaviour.